Ari Sonesh is Meditel360’s founder, investor, and CEO. He is in charge of the companies vision and direction. Ari is a passionate, visionary entrepreneur that wants to “change the world”. 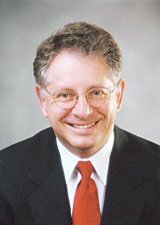 His interests are to help people to communicate better and most recently to help to improve the health and quality of life of the aging population and chronically ill. Ari also founded CosmoCom and as its CEO led it to become a global Call Center technology vendor improving the communications between businesses and customers. Prior to founding CosmoCom, he served as vice president of operations and engineering at Comverse Technology, a young company at the time, that became the leading supplier of a voice-mail system to telecoms. Before that Ari was responsible for R&D, product development and operations at an Israeli/US start-up company called Telecomputer, an early developer of computer telephony integration product. Ari also held several management positions and served in the Israeli Navy. 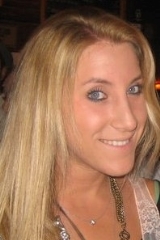 Ari was born in Prague, Czech Republic and grew up in Israel. He holds a BSc in Electrical Engineering from the Technion – Israel Institute of Technology. 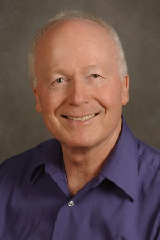 Shmuel Einav, Ph.D. serves as a Meditel360 advisory board member. 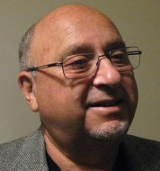 Dr. Einav is the Director of Medical Technologies Division of CEWIT, New York State Center of Excellence for Wireless and Information Technology, at Stony Brook University, NY. He is a world-distinguished expert in the field of biomedical engineering and the cardiovascular circulatory system. He is the Founding Director of the Slezak Super Center for Cardiac Research and Biomedical Engineering, the Founding Director of the Kodecz Center for Medical Engineering and Physical Sciences, and the Founding Director of the California Friends Laboratory for Biomedical Computing and Parallel Processing. In recognition of his significant achievements and important contributions to science, biomedicine and technology, he has been elected as a Fellow of the American Institute for Medical and Biological Engineering (AIMBE), Fellow of the Biomedical Engineering Society (BMES), Fellow of the International Federation for Medical and Biological Engineering (IFMBE) and a Fellow of the American Society of Mechanical Engineers (ASME). Meir Yaniv is a member of Meditel360’s advisory board. He is a “serial entrepreneur” who in the span of the last 35 years has co-founded five companies, primarily in the communication industry. With a rich background spanning from software technology to Global Marketing and Sales, he serves today as an advisor to several start-up companies in a variety of markets and technologies. Until recently he was, as Senior V.P., responsible for the build-up and management of CosmoCom’s Sales and Support organization. In this capacity, he pioneered the concept of “cloud services” in the Customer Interaction market which resulted in the adoption of CosmoCom’s innovative technology by the world largest Telecom Service Providers -British Telecom, France Telecom, Telefonica, NTT, PLDT, etc. He focused on the usage of CosmoCom’s technology in new applications with a special interest in medical services and as a result, many medical institutions became users of the technology and the “cloud services”. Prior, he co-founded and served as President of JMI – a technology consulting company based in New York, Crystal Technologies – a computer/telephony product based in USA and Israel and Magnalink Corporation, based in Rhode Island and Massachusetts. For the past 25 years, he focused on Global Marketing and Sales and became intimately familiar with the global communication industry. He holds a BSc in Electrical Engineering and an MSc in Computer Sciences, both from the Technion – Israel Institute of Technology.